A Lake Hallie man was arrested three times between Nov. 29 and Dec. 8, adding more charges to a rather long list. Scott M. Weidler, 36, was arrested for misdemeanor battery, drug possession, child neglect, bond violation and fleeing and operating a vehicle while intoxicated. Charges in these arrests have not yet been filed according to online court records. Weidler is already waiting trial on a July 2017 charge of felony possession of methamphetamine and misdemeanor domestic abuse in Eau Claire County. The trial is scheduled to begin in February. He has several other cases still open, mostly for felony bail jumping, and has numerous convictions on his record, mostly for operating while suspended and operating without insurance. At 11:45 p.m. on Thursday, Nov. 29, Lake Hallie officers were dispatched to 11928 35th Ave. for a reported disturbance. Weidler was arrested for battery. Two days later, at approximately 1:20 a.m., officers came to the same address for a reported medical issue. During the call, officers learned of illegal drug violations. A warrant was obtained, and evidence was seized. Weidler was arrested for violation of a no contact bond, possession of drug paraphernalia, felony bond violation, child neglect due to drug use and possession of methamphetamine. At 1:28 a.m. Saturday, Dec. 8, a Lake Hallie officer spotted a white Chevy Suburban, driving at a high rate of speed, fail to stop at a stop sign at the intersection of 30th Avenue and Cty. Hwy. OO. The vehicle increased its speed as the officer pursued in an attempt to make a traffic stop. The vehicle fled to 11298 35th Ave., and the driver — identified as Weidler — tried to get into the residence. He was arrested for fleeing and operating a vehicle while intoxicated. He was also arrested for violating felony bond from previous offenses. 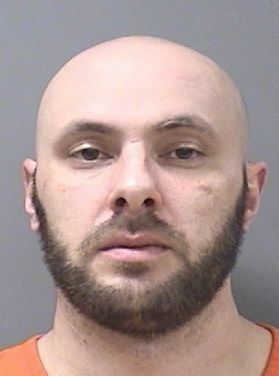 Weidler was in custody at the Chippewa County Jail according to a jail roster posted Monday.